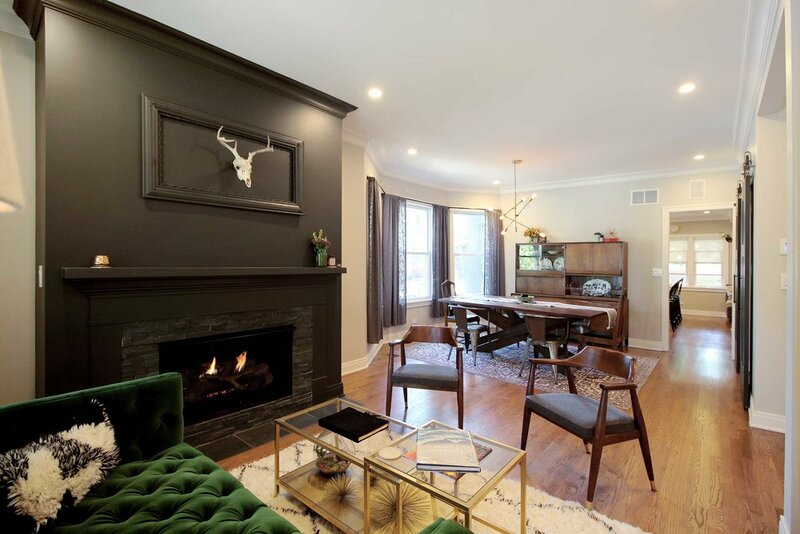 This project consisted of a complete interior redesign of a turn of the century Chicago four square home. The first floor was split with a more conventional layout including a living room, dining room, study, and powder room in the front and a completely modernized kitchen with integrated family room in the back. The second floor was reconfigured to include a master bedroom with ensuite bathroom and huge walk in closet, two additional bedrooms, and a shared bathroom. The attic was finished to include a guest suite with living room, office area, bathroom and bedroom.